In the How to beat The Little Book That Beats The Market (Part 1 2, and 3) series of posts I showed how in Quantitative Value we tested Joel Greenblatt’s Magic Formula (outlined in The Little Book That (Still) Beats the Market) and found that it had consistently outperformed the market, and with lower relative risk than the market. In Quality and Price, the higher a stock’s GPA, the higher the quality of the stock. The Quality and Price strategy, like the Magic Formula, seeks to differentiate between stocks by equally weighting the quality and price metrics. Can we improve performance by seeking higher quality stocks in the value decile, rather than equal weighting the two factors? 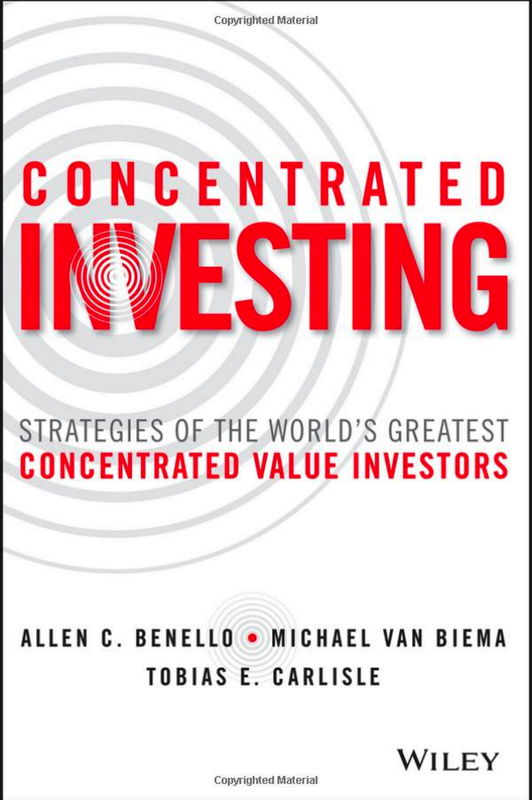 Value investors can also improve their performance by controlling for quality when investing in value stocks. Traditional value strategies formed on price signals alone tend to be short quality, because cheap firms are on average of lower quality than similar firms trading at higher prices. Because high quality firms on average outperform low quality firms, this quality deficit drags down the returns to traditional value strategies. 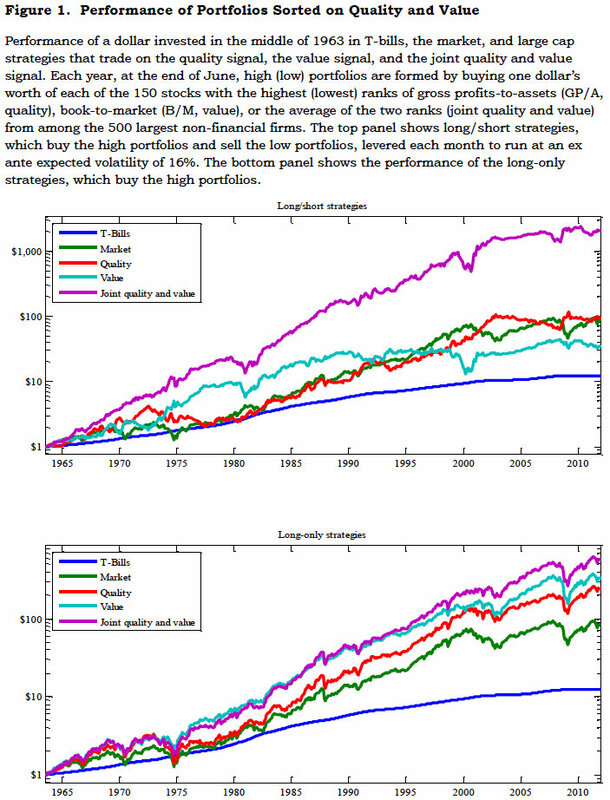 The performance of value strategies can thus be significantly improved by explicitly controlling for quality when selecting stocks on the basis of price. Value strategies that buy (sell) cheap (expensive) firms from groups matched on the quality dimension significantly outperform value strategies formed solely on the basis of valuations. 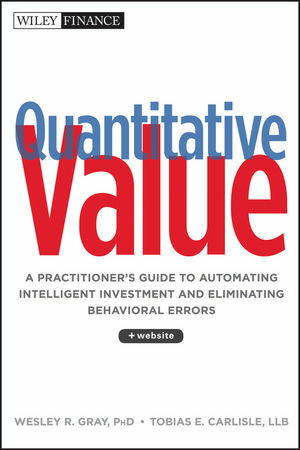 The value strategy that controls for quality is formed by first sorting the 500 largest financial firms each June into 10 groups of 50 on the basis of the quality signal. Within each of these deciles, which contain stocks of similar quality, the 15 with the highest value signals are assigned to the high portfolio, while the 15 with the lowest value signals are assigned to the low portfolio. This procedure ensures that the value and growth portfolios, which each hold 150 stocks, contain stocks of similar average quality. The long/short strategy generated excess returns of 45 basis points per month, 50% higher than the 31 basis points per month generated by the unconditional quality strategy, despite running at lower volatility (10.4% as opposed to 12.2%). The long side outperformed the market by 32 basis points per month, 9 basis points per month more than the long-only strategy formed without regard for price. It managed this active return with a market tracking error volatility of only 5.9%, realizing an information ratio of 0.63, much higher than the information ratio of 0.42 realized on the tracking error of the unconditional long-only value strategy. The long/short strategy based on the joint quality and value signal generated excess returns of 61 basis points per month, twice that generated by the quality or value signals alone and a third higher than the market, despite running at a volatility of only 9.7%. The strategy realized a Sharpe ratio 0.75 over the sample, almost two and a half times that on the market over the same period, despite trading exclusively in the largest, most liquid stocks. The long side outperformed the market by 35 basis points per month, with a tracking error volatility of only 5.7 percent, for a realized information ratio of 0.75. This information ratio is 15% higher than the 0.65 achieved running quality and value side by side. Just as importantly, it allows long-only investors to achieve a greater exposure to the high information ratio opportunities provided by quality and value. While the strategy’s 5.7% tracking error still provides a suboptimally small exposure to value and quality, this exposure is significantly larger than the long-only investor can obtain running quality alongside value. We tested the decile approach and the joint approach in Quantitative Value, substituting better performing value metrics and found different results. I’ll cover those next.